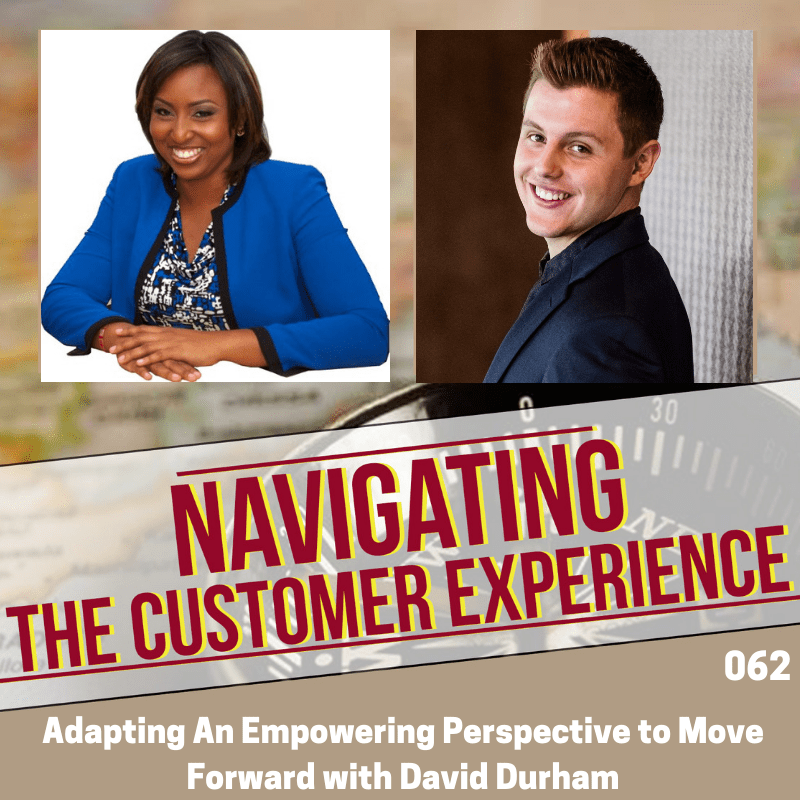 David Durham is a mindset and self-mastery business coach, speaker, author and trainer. Before coaching David had the opportunity to build a six-figure business his first year in real estate at the very young age of 20, he is also the author of his first book, “You Must: World-Class Principles for Success” which he is so excited to launch in March. David now helps other self-employed entrepreneurs between the ages of 30 and 50 who have been in business for less than five years to build a thriving business by helping them step out of self-sabotage and step into their success. What are some of the top three suggestions or tools that you provide to your business owners or entrepreneurs to ensure that they maintain that level of self-mastery and emotional intelligence so they can lead a team that is all so positive minded? We have a lot of small to medium sized business owners that listen to this show across the world in different countries and many of them have to do their own sales. You know they have to pick up the phone and they have to make sales calls. And as you said when they get rejected sometimes they do attach it to their identity. How do you get rid of that fear before you actually take the telephone up and call someone to tell them about a product or service that you have to offer to them? And of course, to pitch it in a way that it comes up as being authentic in terms of your product or service adding value to their life and providing them with useful benefits. 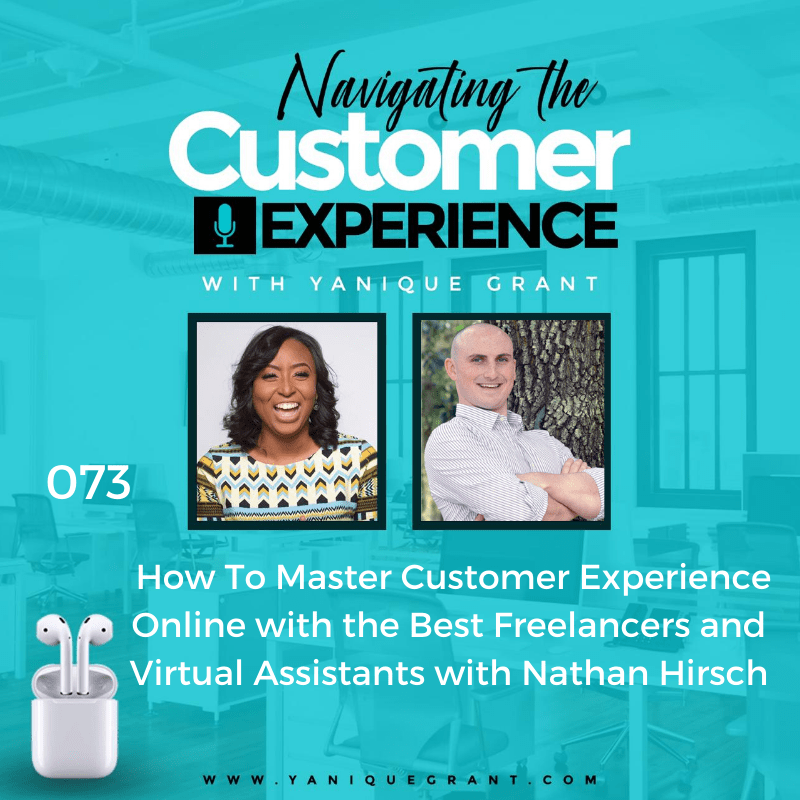 But also in a way that you are able to utilize the skills that you are best suited for, to marry what you are offering with what their business has to offer to their customers. Apart from taking a different perspective, are there external stimuli that you could probably expose yourself to that will help you to change your mindset or at least maintain somewhat of a positive mindset throughout the course of your day? What are some of the books that you’ve read recently or maybe in the past that has really helped to grow and develop you as an individual and make you a better person? What is one online resource, website, tool or app that you absolutely cannot live without in your business? What is the one thing in your life right now that you are really excited about – something that you are working on to develop yourself or people? David stated that emotional intelligence and a business is huge, especially for entrepreneurs, self-employed entrepreneurs that have been in business for less than five years. One day you’re on top of the world you’re ready to conquer everything and then like three days later you’re questioning all the moves you’ve made in the past six months and is this the right choice. It’s going through the ups and downs that are extremely hard and emotional intelligence which essentially boils down to your mindset and how self-mastered you are is how resilient can you be when you’re facing adversity. People are doubting you and telling you, “You can’t do it.” Which he has so many stories around that and just struggling. How are you to persevere through that. Because he believes everyone typically knows what they need to do to get the business where they want to go. Yet many times they’re just in their own head and they’re in their own way and if they could get out of their own way and out of their head then they could have the success. So, when it comes to mindset and self-mastery, it’s about being resilient and being able to face anything with a positive perspective that empowering rather than a perspective in their business that’s disempowering and has actually holding them back. David stated that this is an amazing question because it’s like being a leader in how you lead by example for anyone that works for you which then directly correlates to customer service and the one of the first things he teaches and a certified coach almost finishing the certification of what they teach is seven levels of perspective and when you understand these levels of perspective then you can actually decide how you want to show up each moment, every day you can understand which perspective helps you and how, some of them help you in this situation and other perspectives on the seven levels help you in something else and so one of the tools that he teaches which is going to be hard to get in just on this call. But it’s the seven levels of perspective so no matter what happens to you, you can adopt a perspective that’s actually going to empower you and help you move forward. So, what that looks like as a leader is when you’re implementing the seven levels of perspective, naturally everyone following you, everyone that’s looking up to you and you are leading by example sees that and they respect that and then they can grow from that themselves. When it comes to mind and self-mastery, when it comes to the way you think number one’s perspective, that’s what’s going to keep you going and two is how do you overcome fear that’s huge, just fear in general, fear of rejection, fear of failure, feel fear of the unknown and so how do you overcome that. And that’s a huge step getting in your business. So, self-employed entrepreneurs that have been in business for less than five years and many times fear rejection, they fear failure and here’s where it boils down to. The reason why these fears are there is because they’re attaching their identities to results. And so, whether they do great then that means they’re great and if they don’t that means they don’t, so when they fail they take it to mean that their failure. And so, when you feel like a failure then naturally and the thoughts going through your head is “I’m not good enough” when I’m not good enough shows up for you then you’re naturally going to feel disempowered, you’re going to feel bad about yourself and when you have the thoughts of I’m not good enough. You don’t feel good enough then who in their right mind is going to want to take action. Then they let fear overrun them, they let fear overrun their business and now they wonder why it’s so hard to take massive action, they wonder why they are procrastinating so much but it’s because of that. So, when you can start shifting that perspective it all ties together because you shift the perspective then you start having different thoughts, thoughts that are empowering with those thoughts that you have, you have different emotions. So, now you have a different perspective, different thoughts, different emotions, naturally you are going to take different action because thoughts and emotions equal action. That’s a really encompassing of like coaching because many times like his clients would come to him and it’s with these stories but all they really need to do is shift the way they’re thinking ask themselves better questions and quit identifying with their results as to who they are. Being able to stand in their own skin and say, “I am enough as I am no matter what happens in my organization, no matter what happens my identity isn’t attached to this outcome, my identity isn’t attached to the failures and it’s also not attached to the winds. It just is and I’m enough as I am.” which really allows one to adopt the right perspective an empowering perspective to move forward. David stated that everyone listening right now, wants to be able to make those sales calls and prospect and come from a place that’s genuine and not feel salesy, like they can make the calls and know that “I’m only here to help, I don’t want to feel salesy.” A lot of people don’t want to make those calls because they have that fear of rejection and the fear of “What are they going to think about me and if I call people that know me, what are they going to think, they going to think I’m selling them.” how do you overcome that. First thing first, you’ve got to be 100 percent confident in what you do, your product or your service. Reason being if you are 100 percent for example as a coach, “I knows I can help transform businesses. I know I can help them get out of the way double or triple their income. I have created the results multiple times.” So, when you are 100 percent confident in that then when you reach out in prospect to these people you know, people you don’t, whatever it might be, you come from a place of contribution, you come from a place of, “This is what it can do for you. I want to help you because I’m so confident in what I have and I’m so confident that it would help you. It would actually be more an ethical for me to not reach out.” When you can get to a point like that in your business where you can genuinely come from contribution things will start changing because now you’re making the calls when you’re on the call. Another huge obstacle business owners have is overcoming objections when they say I want to think about it so many business owners say, “Great, when would you like me to call you back?” Rather than digging in, “Well, what is it you want to think about, its financials. Great, tell me more about the financials. Is there anything else other than the financials?” X Y and Z digging into it. Because if you are to come from a place of contribution and you do truly believe in your product and service then you should have no problem overcoming any objection in realizing that an objection is just a request for more information. So, when you’re hunting that you’re actually coming from a place of, “I just want to help you understand more of how this product or service can best suit you.” And from a customer service standpoint they go hand in hand because you’re doing what’s best for them. Now on the flip side how do you overcome the fear of making the calls. How do you actually do it? And the first thing first is realize you attach your identities to your outcomes, realize wow OK now I see that when I get hung up on told no hundreds of times, I’m attaching that to me, no one wants to talk to me. When you can just start making that distinction then you can start changing it. Here’s a fun story, when he hopped into real estate his first year, he was 19 years old in the business, he got told by everybody that there’s thousands of other agents, “What makes you any different, you’re not old enough, who’s going to trust you with the sale of their house and so much more.” And so, he would literally call over 700 people every single day. He would talk to over 100 people every single day. He got told no, he got told you’re a low life, you’re a bottom feeder. Go get a real job and get cussed at. He’d get hung up on every single day and then he would go on the appointments that he did create for the first few months, he lost the client so he felt terrible about myself. All he’s getting is rejected, all he’s getting told is no. “Oh my gosh, what in the world.” So, he kept pursuing that to overcome the fear of calling and the fear of reaching out as realizing one, they’re getting hung up on, what are three perspectives that he could adopt that mean nothing about him, 1) They could have just gotten into a car crash, 2) Their dog just died. 3) They’re going through a divorce. 4) He interrupted them during dinner. 5) They are sick. Great, he just created five reasons of why they hung up on him, didn’t answer whatever that meant nothing to do with him. So, if you can do that in business rather than saying they didn’t answer so they clearly don’t want to talk, they didn’t call me back, so they clearly don’t want to talk. They hung up on me. They clearly are not interested. I’ve called them four times they haven’t responded. Rather than taking it to mean they don’t want to talk to me, they don’t want my product, they don’t want my service, maybe I’m not good enough, thinking “Wow, well they could be really busy in their business, they could be going through some really tough times and haven’t had a chance to come around.” You have a choice to adopt other perspectives. Yanique then stated that’s a very good perspective to look at. So, it’s kind of like you’re projecting that clearly just as how your life has challenges and obstacles and hurdles that you have to overcome every day, they’re are human too and they probably have their own obstacles, hurdles and challenges and maybe their obstacles and hurdles are way surpassing what you are actually going through. So that’s why you weren’t able to get in touch, so then you don’t take it personally and absorb all of the negative energy that you’re getting from the nos. David also mention that in realizing that you’re making assumptions and you’re making interpretations, you’re assuming that it’s about you in your interpreting them not calling to mean something about you. That assumption, interpretation has just as much validity as saying they got in a car accident has nothing to do with you. It has just as much validity of saying I might have caught them in between work or when they were at dinner. You don’t know the real answer, so which perspective are you willing to adopt that’s actually going to help you move forward in a positive light. And to add to that really quick, David mentioned that he called one of these prospects, he called her over 26 times in less than 3 months, that’s a lot of phone calls and she never called him back, she never texted him back, she never got back to him via e-mail and one day she called him, “Hey David, I need you to come list my property. I’m so sorry I haven’t gotten back to you, things have been crazy on my end. I’ve been going through so much but I appreciate your follow up.” That goes to show we can’t assume and interpret it to mean things about us. Yanique mentioned how puts a nice spin on it. In all the years that she has been doing customer service training on workshops with customers, one of the challenges or one of the comments that she has gotten from participants in workshops is when the customers come at them so angrily, they’re disrespectful. As David mentioned a lot of it. They told you you’re a bottom feeder, you were worth less, you should go find a different job. So, in a customer facing environment the customers are going to tell you a lot of things if their product or service isn’t working and if you are not responding to them in a way that they expect you to respond, they’re going to actually start attacking you. And a lot of the employees take that attack as a personal attack. Her approach with them is don’t take it personally because a lot of times these customers don’t know you personally and they’re really hurting because of the issue they’re having, maybe before they came to your business place they had a bad argument with their kid or are with their boss or maybe someone bad drove them on the road. So, they’re frustrated, they’re angry, so they come into your business place already with a negative mindset. Yanique then asked why is it that as human beings when people start to say things to us that we don’t want to hear we assumed the negative and not the positive. David stated he’s not a scientist to say well this is why according to X, Y, and Z. He stated that there are studies to show how strong, it’s easier to be negative than it is positive. We are human beings, we jumped to the worst-case scenario many times we may make it to believe something about us we take it personally. Everyone listening that is facing that struggle, it’s not your fault. It’s being human, it’s not your fault. And now it’s your responsibility to choose to not take it personally, it’s your responsibility to realize, “Wow, the assumption is that I’m making is that it’s about me when in reality well why could they be acting this way. Maybe they got cut off when they were driving to work and then the coffee spilled on them when they got their car. They stub to their toe on the curb, they rolled into the office five minutes late, got yelled at then called you, maybe that happened.”So, it comes back to what interpretation, what assumption, what story in perspective are you going to decide to roll but realize it’s totally human nature to get upset to take it personally. And now it’s your responsibility to change that. In order to change or maintain your mindset positive throughout the course of the day, David mention that you have to take note of the conversations that you’re participating in. It’s the people that are around. So, even if you’re at work, if you’re a business owner typically you can kind of choose who you’re around and if you’re employee maybe you don’t. But you can choose the conversations that you engage with. There’s that quote that he finds very interesting is that “Small minded people talk about other people; average minds talk about events and brilliant minds talk about ideas.” And it just comes down to like what kind of conversations are you having. Because most people are talking about other people and they’re talking about events and they’re complaining and they’re being negative. If you’re around those conversations then you can’t adopt that different perspective. You can, it’s going to be really difficult too. Yet if you just start controlling who you put yourself around and what conversations you’re engaging in then things can really shift for you, the conversations that you are having could really change your life, they can become much more empowering, you’re going to start putting yourself around more positive people. So, every time you’re engaged in a conversation ask yourself, “Is this a conversation worth having, is this moving me forward in any kind of way or is this gossip, is this negativity, is this complaining?” And that little awareness that you have can significantly make a difference. David mention that there’s so many different types of books and so many different kinds of genres. So, he actually got three that he’s going to share that he thinks made a really significant impact for him. One of them is The Compound Effect by Darren Hardy. It’s huge, it has played a big role in his life and he kind of knows it like the back of his head and it’s implemented now in his life and in his business. The second book is something that’s really going to help someone show up emotionally in a great way every single day. This correlates to customer service because it’s a sense of controlling how you feel and how you think so and so when someone’s yelling at you, how are you going to give them the best customer experience. So, this book’s Awaken the Giant Within: How to Take Immediate Control of Your Mental, Emotional, Physical and Financial Destiny by Tony Robbins huge book. It is a long book but it is a powerful, powerful book. It’s something you definitely want to read. And then the third book is The 10x Rule: The Only Difference Between Success and Failure by Grant Cardone. He stands by that book because things really do take ten times the amount of work that we expect. You want to raise your level of customer service to a high level, it’s going to take more work than you think, you might need a 10 x action plan that you have. You want to build that business so you can have more business and still give them the same experience, you’re typically going after 10x your efforts and so he goes into depth about that in that book. David stated that the beauty of his business, he keeps it very simplistic. Like all these crazy apps, all these crazy tools, he doesn’t use that. So, to answer the question, there isn’t one. What he would say that helps him deliver the highest level of customer service, to be able to engage with his clients and his tribe and things like that to give them a great experience would be their customer relationship management system that I use which is Ontraport, it’s one of his favorite ones just from marketing being able to engage with them. That’s my favorite but as far as like a tool, website, app, I keep his Google Docs everything centralized in one place. David shared that something that he’s pumped about is his first book. You Must: World-Class Principles for Success. It will launch in March and he’s just thrilled to get this out to the world. Got his final round of editing complete, getting his author copy and it’s going to be released to the world in just a couple of short weeks. David shared that he has many quotes and he can give a couple. One of them is, “I am enough as I am.” in all transparency he thinks no matter what level of business you get to talk to millionaires that sometimes they wake up and they feel like they’re not good enough and so no matter what happens in life, no matter what happens in your business, you are enough as you are. And the second one is, he really looks how far he has come and never how far he has to go. Being an entrepreneur we’re also hungry, we are business owners, we have these huge visions and as we grow the vision just keep getting bigger and bigger and bigger and bigger. And sometimes we forget how far we’ve come. And we only look at how far we have to go. One of those reminders is he always look how far he has come and never how far he has to go. Yanique mention that it’s like you’re reviewing all of your accomplishments so you can be proud of yourself and give yourself a pat on the back and some level of recognition versus, I have so far to go and you’re beating yourself up for not maybe meeting a deadline or doing something within a specific period of time but rather focusing on the things that you have done well and that you have accomplished so that it can propel you to move forward.